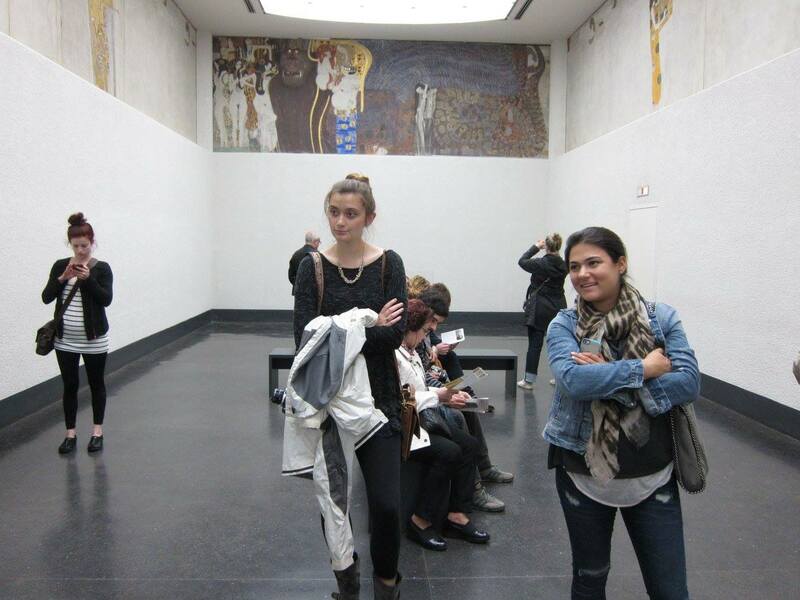 Sarah Johns and Megan Goldman in the Secession Building, Vienna. Sarah Johns and Megan Goldman in the Secession Building, Vienna, May 2016. “UA in Europe: Finding Meaning - Synergy of Psychology & Art through Mind & Soul,” led by Joy Burnham and Lee Black. Photo courtesy of Lee Black.